It is well known within the IT industry that there is room for electricity cost savings and that an effective and efficient centralized power management of the corporate PCs can significantly reduce their power consumption. The basic savings can come from either unused or idle PCs and it can be up to 50% compared to PCs that are always ON. 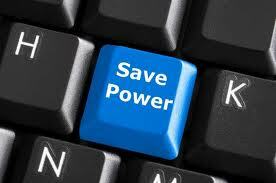 This means that can save your company up to $70 per PC per year in electricity costs. Extrapolating this, for every 1000 PCs the company can save up to 70.000 USD while at the same time reduce the CO2 emissions and contribute to a greener and healthier environment. Let us now analyse in a relatively high level form the possible functionality of a centrally managed power savings system. Reporting Capabilities: There should be extensive and continually updated reporting capabilities that should run from a central database. This means that it would be an advantage for the power management software to be built on standard databases like SQL and Oracle. Reduction of CO2 emissions: Powering off the computers means saving energy which implies less consumption of electricity thus less production of electricity and less burning of fuel and less pollution. There are several comparisons for people to understand the meaning of power savings by a computer, an easy reference is that the annual power consumption of a PC creates pollution which is the equivalent of about a 900 miles ride with a family car. PCs last more: Powering off the PCS extends their life time, decreases hardware faults and makes them less vulnerable to attacks. This means that the Cost of Ownership of a PC decreases. These are good news for any company. It was means less recycling and pollution of the environment. Cooling: Powering off PCs not only has direct savings on electricity but it also has an indirect effect since powered off PCs do not produce heat and thus less cooling is needed in the areas that they are located. It is well understood that the powering-off of the PCs in any organization results in significant power savings which translates to less expenditure for the companies and a positive impact on the environment and this leads to a greener world.